The question, whether psychology is a science or not, is of historical interest only. Psychology has its scientific side and its technological side just as biology or any other scientific discipline has these facets. So, he who would maintain even today that psychology cannot be a science is trying to get another jump out of a long dead horse” (Marx & Hillix, 1987). The question about scientificity of psychology arises because Psychology appears to be the most undisciplined of all disciplines” (Cohen, 1962). However, from 19th century onwards there has been a general agreement that psychology is, or at least ought to be, a science. To evaluate the scientific status of psychology it's better to first understand what science is and then to see to what extent psychology conforms to these notions of science. Science is a systematically ordered body of knowledge derived through the application of scientific procedure. 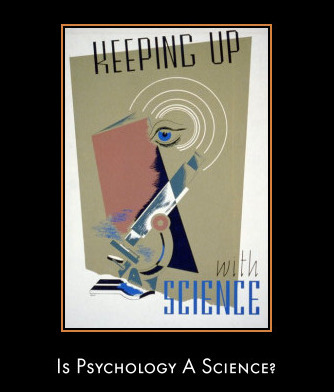 According to Marx and Hillix (1987) the two broad notions of science are “Science as a way of thinking” (The Scientific Attitude) and “Science as a way of doing” (The scientific Method). The discipline of psychology, in both theory and practice, subsumes these notions of science by closely adhering to scientific standards like accuracy, objectivity, skepticism and open-mindedness. This scientific temper motivates psychology to adopt only those methods (for e.g., experimental method) which makes control, measurement and prediction of behavior possible. However, since the subject matter of psychology is something as intricate and dynamic as human behavior so there are some understandable limitations to psychological measurements. Now if you wish to know how the meaningfulness of a task will affect your behavioural style then you must be ready to go beyond the numeric contingencies and enter in the arena of indeterminate behavioural randomness which often defies exact quantification (Singh & Chadha, 2010). And often true psychology of real significance happen in such way. Until a few years back psychology suffered from “physics envy” assuming that physics is the most perfect of all sciences, and if psychology wants to attain the status of science its methodological behavior should be as close to physics as possible. However, it is itself questionable that how pure and perfect are these so-called pure sciences. The subject matter of physical sciences is not only sometimes uncertain (e.g. Heisenberg Uncertainty Principle, the quantum indeterminacy) but also psychological in nature (Marshal & Zohar, 1995). Hence, there is scientific aspect of psychology like there is psychological aspect of physics. Marx, M.H. & Hillix, W.A. (1987). Systems and theories in Psychology. NY: McGraw Hill Co.
Good work. This is very informative and helpful (anonymous).